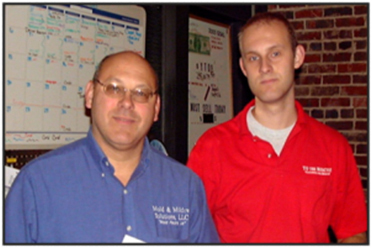 Lee Ramey (the Owner and Dad), started in 1984 with his first cleaning business. Cleaning windows quickly progressed to the whole house. With proper training, Lee started specializing in Rugs and Carpet Cleaning, holding to industry standards set by the IICRC. To The Rescue has been serving Birmingham and surrounding areas for 31 years. Along the way, Lee’s son, Mike, joined him and now serves as To The Rescue Manager. Our company is certified by the IICRC in all services that we offer. Being certified means that we have received industry-recognized training to learn proper techniques. We are certified in commercial and residential carpet cleaning, upholstery cleaning, carpet repair, oriental rug cleaning, carpet dyeing, and water damage restoration. 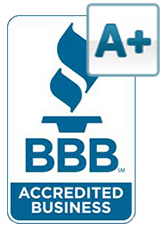 Our owner, Lee Ramey, is an IICRC Certified Master Cleaner, and a Master Certified Restoration Technician, the highest cleaning designation. We are also members of SCRT, or Society of Cleaning and Restoration Technicians. Through SCRT as well as IICRC, we continue to educate ourselves on the latest procedures and chemistry by attending seminars and classes. Being an IICRC Certified Firm means that in addition to having proper training, we abide by a strict code of ethics and carry all necessary licenses and insurances. Mike Ramey, Manager of To The Rescue, is certified in commercial and residential carpet cleaning, upholstery cleaning, carpet repair, oriental rug cleaning, carpet dyeing, and water damage restoration, odor control. Look at the many organizations, that help us achieve the best in cleaning for your health. Unlike building contractors and electricians, the state does not issue licenses for individuals in the professional cleaning industry. But that doesn’t mean that industry standards do not exist. Standards are created and revised by an international non-profit organization known as the Institute of Inspection Cleaning and Restoration Certification, or IICRC . The IICRC works with carpet and upholstery manufacturers as well as other organizations such as the Carpet and Rug Institute in developing proper maintenance and restoration standards. The IICRC keeps an updated list of all companies that employ certified technicians. Carpet manufacturer warranties now include the IICRC’s web site address to give customers a way of finding a certified technician in their area. Considering the high cost of carpet and furniture, all companies should protect themselves by ensuring that all technicians receive proper training. However, the opposite is true. In reality, less than 1 in 10 have received any type of IICRC certification. The biggest reason is because of the high turnover rate among employees. This results of course in substandard workmanship, consumer complaints, and even litigation in some cases. Your biggest protection is to hire only an IICRC-certified technician. Look for the IICRC logo.